Among people of a certain age, the sudden and strangely explained firing of FBI director James Comey by President Donald Trump brings back memories of another sudden action that portended more trouble for the president than the objects of his wrath. That would have been the Saturday Night Massacre of October 1973, when Richard Nixon ordered his Attorney General — and when he refused, his Deputy Attorney General, who also refused — to fire Watergate special prosecutor Archibald Cox. Finally Solicitor General Robert Bork — of later Supreme Court fame — did the deed in firing Cox. But Nixon never quite recovered his equilibrium in coping with the Watergate scandal that ended his presidency nine months later. There is no way to know what the future holds for the 45th president, and it’s possible the publicly offered rationale for this firing — pent-up bipartisan frustration with Comey’s handling of the Clinton email investigation at various points in 2016 — is all there is to the story. For the moment, though, you should not expect any Democrats to thank Team Trump for belatedly hearing their calls for sacking Comey. The aroma of something entirely different remains in the air. Indeed, all we need is a leak or two to promote the suspicion that Comey is hitting the bricks three years into a ten-year term because he was getting uncomfortably close to some sort of pay dirt in the FBI’s investigation of Russian meddling in the 2016 elections and/or Trump campaign communications with Putin’s government. There could, of course, be some reason unrelated to Clinton or to Russia that Comey was no longer welcome. If so, you’d figure the leaks from the administration offering any innocent rationale would soon be pouring like a faucet. But even if the currently maintained rationale for firing Comey falls apart down the road, it does reflect considerable cunning: Why not pin him for mishandling a case that one party thought should have driven Clinton from the campaign trail to prison, and the other party thought robbed her of the presidency? 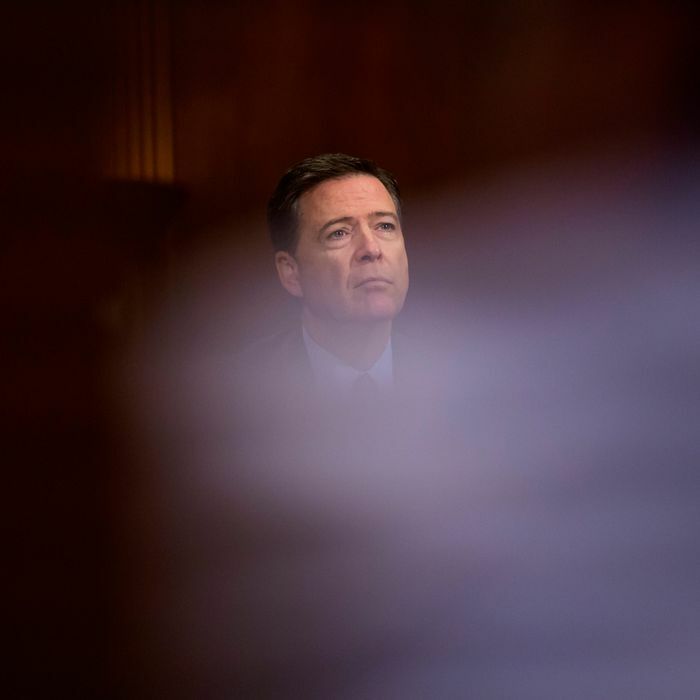 It is entirely true that not many will weep bitter tears for the truncated career of James Comey. Or, as happened 43 years ago, this strange incident could represent the beginning of a long slide into the unforeseen and the unimaginable.